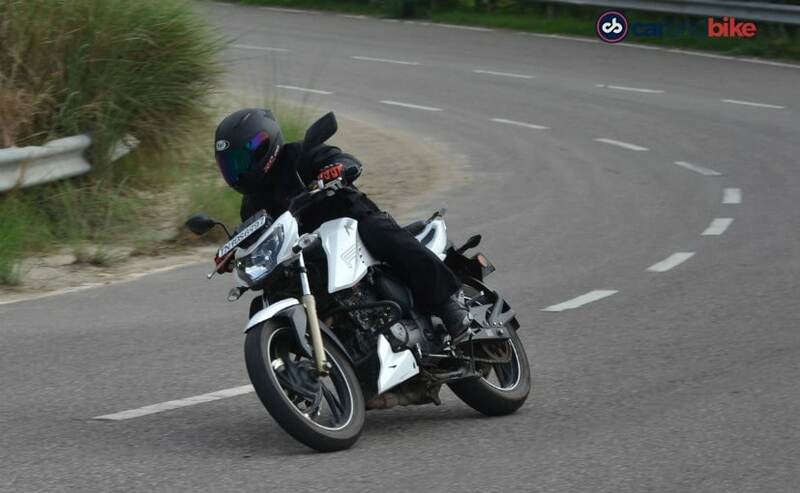 We spend some time with the Yamaha FZ25 and its closest rival, the TVS Apache RTR 200 4V. 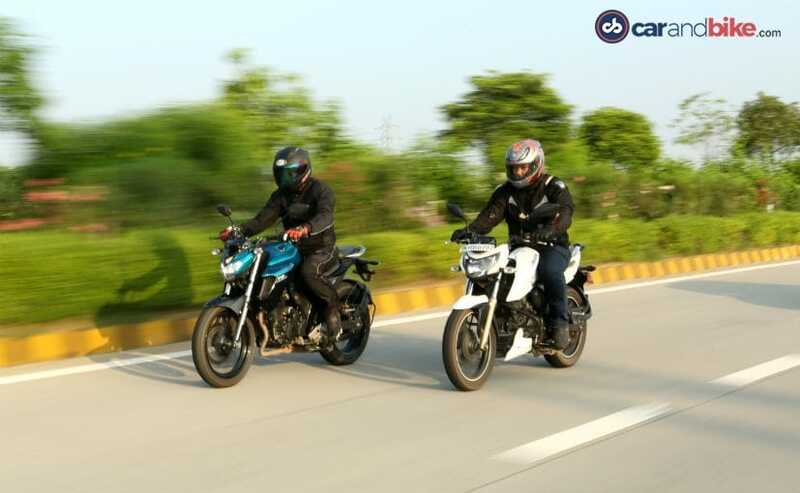 The Apache 200 has a slightly smaller engine, but both bikes are evenly matched in terms of performance, and sit more or less in the same price bracket. When the Yamaha FZ25 was launched earlier this year, we were impressed, not just with the bike's looks and build quality, but the overall finesse and refinement the 249 cc engine offered. 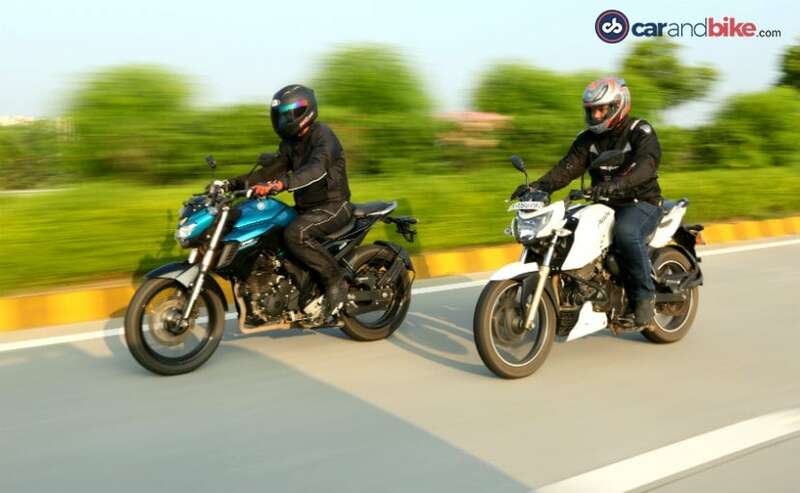 The FZ25 promises a lot to the aspiring entry-level performance bike buyer; it's got muscular road presence, a smooth and torquey engine and offers a practical, everyday commuter with the performance to lend it decent touring capability. Will it be as successful as its smaller sibling, the Yamaha FZ-FI? 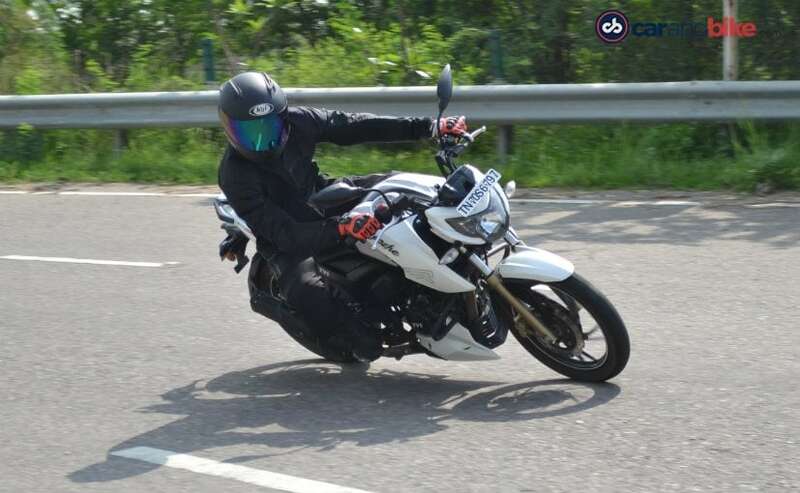 We spend some time with the Yamaha FZ25 and its closest rival, the TVS Apache RTR 200 4V. The TVS has a slightly smaller 198 cc engine, but both bikes have roughly the same power and torque, and sit in more or less the same price bracket. The Yamaha FZ25 is a good-looking motorcycle - period. Yes, it may not look radically different from the smaller FZ-FI, but it looks and feels well-built and stylish. The chiselled fuel tank, the fat, 140-section rear tyre and the stubby exhaust make it a well-proportioned streetfighter. It gets an all-digital instrument panel with digital speedometer, odometer, tachometer, trip meter and also gets a very useful fuel consumption read-out. A gear position indicator is missed though, and the screen could have been a little bigger to make it look more upmarket and offer better readability. 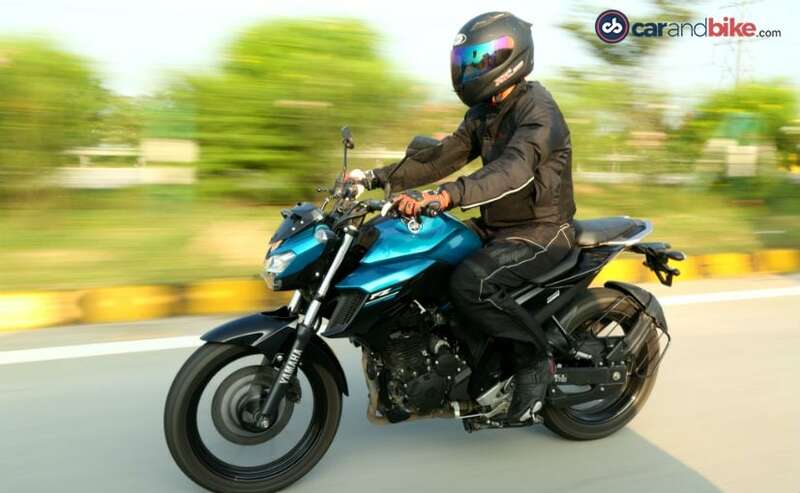 Overall, the Yamaha FZ25 certainly has poise and road presence. Yes, it may not be over-the-top sporty in appearance, but it's a good-looking bike and will appeal to a diverse set of riders. The TVS Apache RTR 200 4V is equally well-built. The Apache 200's styling also doesn't stray too far from the design language of its smaller siblings, but the fuel tank extensions, split seats, LED taillight and smartly designed grab rail together with the engine cowl makes the Apache 200 stand out. The Apache 200 also gets an all-digital instrument console but it's better equipped, with speedometer, odometer, two trip meters, gear position indicator and service reminder. Plus, there is a shift light, top speed recorder and a lap timer as well, keeping in line with the 'sporty' DNA the bike boasts of. The Apache though doesn't get any fuel consumption calculator. Overall, it's a good looking and well-proportioned bike. The 'double barrel' exhaust muffler design could have been better, but it sounds meatier and throatier than the Yamaha. On the move, both bikes are evenly matched in city speeds. The Yamaha's 249 cc engine has 20 bhp on tap, and the TVS makes just marginally less at 19.77 bhp. Both bikes have similar gear shifts and ease of operation with five-speed units helping put power to the wheels. The Yamaha's transmission is more precise though, never losing its accuracy between quick shifts. Then, there's the pulling power. The Apache 200 makes 18.1 Nm of torque at 8,500 rpm, but the Yamaha's larger engine makes slightly more torque, with 20 Nm kicking in at 6,000 rpm - that's a full 2,000 rpm lower than the Apache 200 and about 2 Nm more pulling power. What that translates to in the real world is that, the Yamaha requires fewer gear changes while you're negotiating traffic in the city. Individually, both bikes have similar performance. Up till about 60 kmph, acceleration is neck and neck, but push harder and it's the Yamaha which inches ahead to the 100 kmph mark. And that is when the TVS begins to lose steam; the 200 cc mill is a tractable unit, but lacks in top-end performance and sheer acceleration. Back to back, the difference is apparent, and with the extra displacement, the Yamaha continues to pull and pull, much beyond 130 kmph, while the TVS struggles to keep up in high speeds. Clearly, for highway duties, it's the Yamaha which has the upper hand, offering refined performance throughout the 250 cc engine's powerband. Both bikes weigh exactly the same - tipping the scales at 148 kg. They are both light and nimble and offer superlative levels of confidence. The TVS feels planted and stable and responds intuitively to direction changes, thanks to the brilliant chassis and short wheelbase. It rewards you with its impeccable road manners, giving you the confidence to push through gaps in traffic, never for once losing its composure. It dips into corners with surprising agility and poise, and the Pirelli tyres offer superb grip, under hard braking and around a corner. The Yamaha FZ25 on the other hand, offers a softer ride quality, and that translates to a more cushioned, plusher ride. That's a good thing really, because it's slightly more comfortable in our road conditions. The FZ25's handling is also very good, and there are no complaints on that front. Around a corner or two, the Yamaha feels equally poised, and offer a lot of confidence to the rider. But ride both bikes back to back, and it becomes apparent that the TVS has the upper hand when it comes to quick direction changes. The Yamaha's slightly softer suspension also makes road undulations feel more pronounced, particularly when leaned over. But that doesn't mean that the FZ25 lacks in stability or poise; the difference is minute, but the Apache gets more marks here. Both bikes offer decent brakes, with the Yamaha getting a slightly larger 282 mm front disc, but the TVS gets a slightly larger 270 mm rear disc, compared to the Yamaha's 220 mm rear disc brake. The Yamaha offers more feel on the front brake lever, but ABS is missed though, and would have been a worthy option. 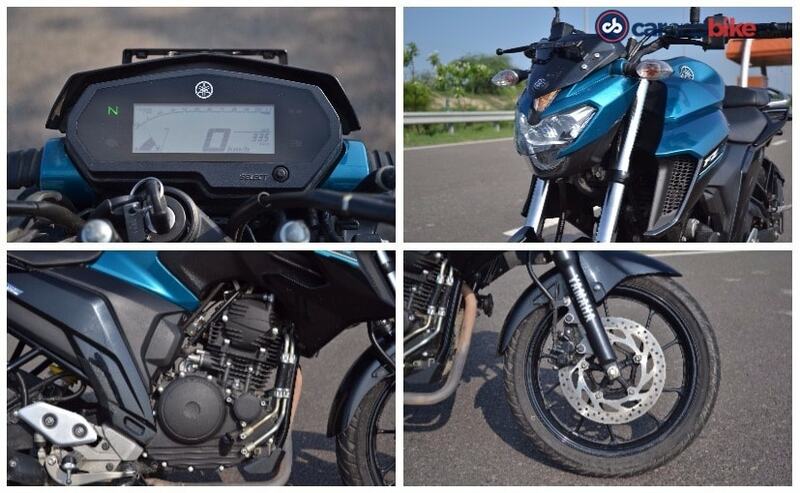 The Yamaha FZ25 is a superb quarter-litre motorcycle. It has everything from good looks, refined performance, great road manners, and an engine with enough grunt for highway duties if you're inclined towards the occasional long distance ride. The TVS Apache RTR 200 4V is more suited towards city riding, and tackling traffic. Yes, it has the performance too, but gets outnumbered by the Yamaha in acceleration, top speed and tractability. 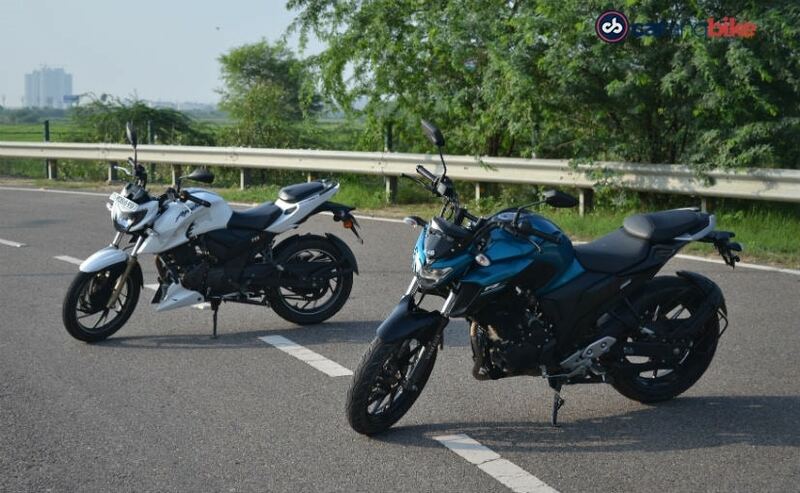 It's the Yamaha FZ25 which should be the clear winner here. It has better performance, offers a more versatile package and has almost everything the TVS Apache RTR 200 4V offers. But the Apache has an ace or two up its sleeve. It offers the more value for money package and marginally better fuel economy. 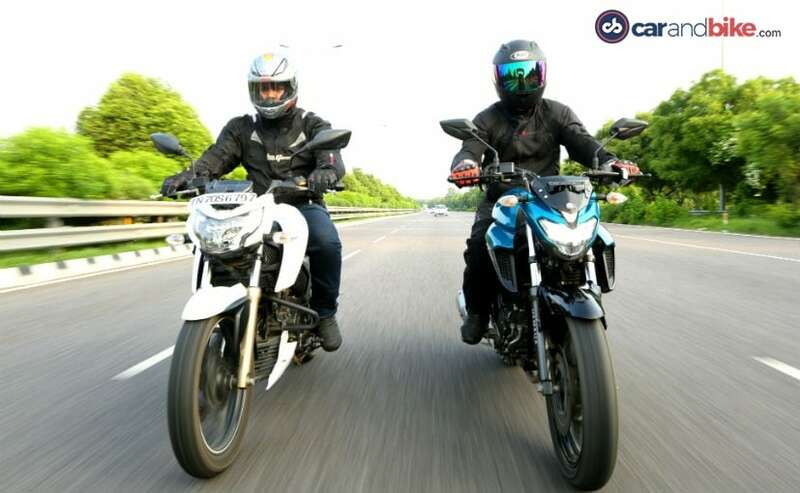 The Yamaha FZ25 returned 33 kmpl overall in our combined city and highway test ride, while the TVS Apache RTR 200 4V returned around 37 kmpl overall. 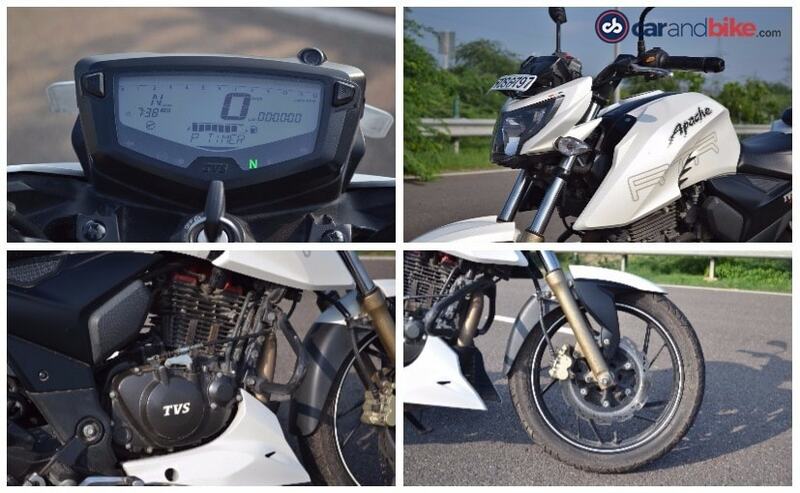 In terms of pricing too, the Apache RTR 200 4V has the edge. 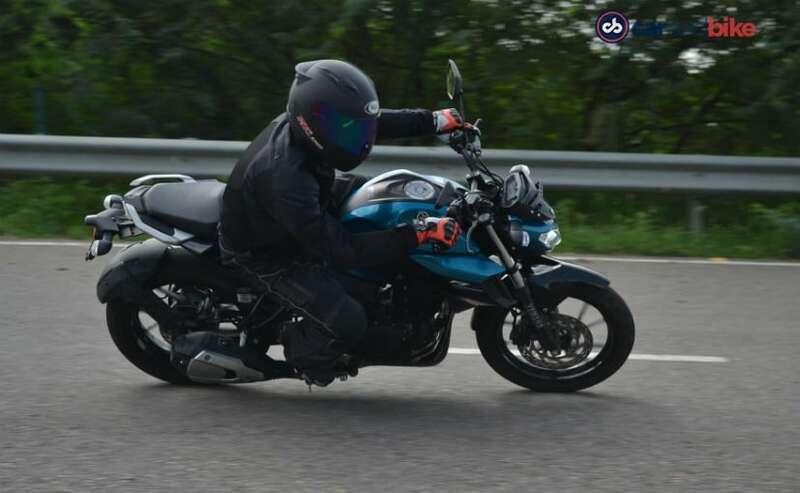 At ₹ 97,915 (ex-showroom Delhi) for the variant with Pirelli tyres, the TVS is over ₹ 20,000 cheaper than the Yamaha FZ25, priced at ₹ 1,19,335 (ex-showroom Delhi). So, in the eventual analysis, the TVS Apache RTR 200 4V inches ahead, thanks to better value and more involved city manners. But if I were you, I would definitely take a very good look at the Yamaha FZ25, practicality and value for money can take a back seat.